The Laws of Simplicity consists of a set of “laws” formulated by the author to try to grasp the meaning and essence of simplicity. 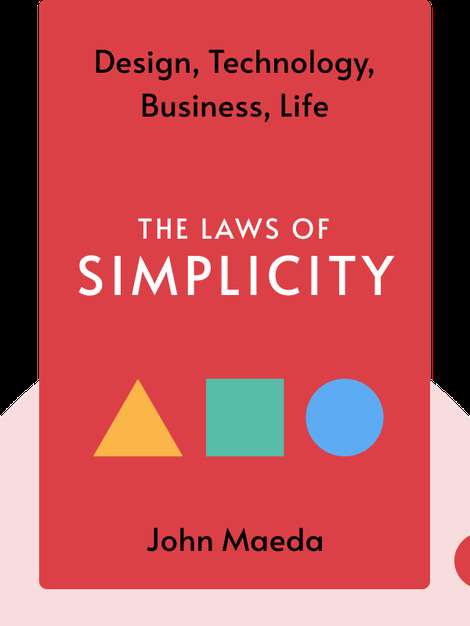 Along the way, it provides useful advice on how to introduce simplicity to our daily lives, business and product design. John Maeda is a graphic designer, computer scientist and visual artist, professor of Media Arts and Sciences at MIT, and founder of the SIMPLICITY Consortium at the MIT Media Lab. He has also authored a number of books, including the critically acclaimed Design by Numbers.